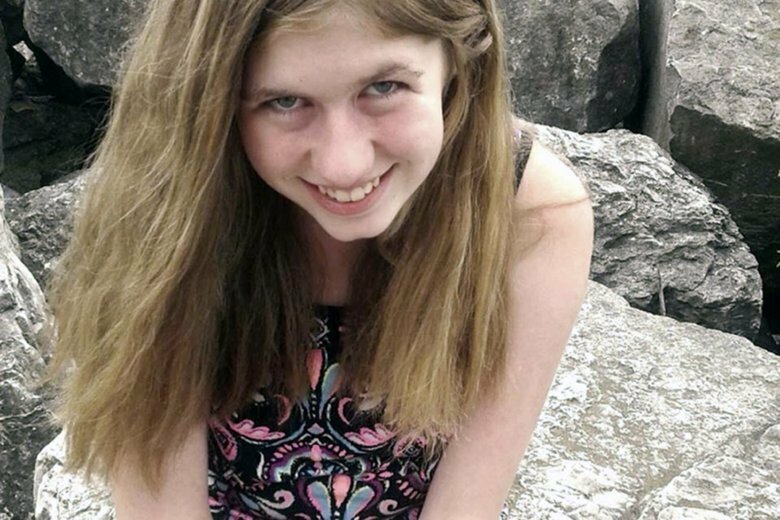 Authorities have been searching for 13-year-old Jayme Closs since around 1 a.m. Monday, when sheriff's deputies responding to a 911 call for help at a home in Barron, Wisconsin, discovered the bodies of her parents inside. BARRON, Wis. (AP) — A Wisconsin teenager who has been missing since her parents were found dead in their home isn’t a runaway and investigators believe she’s in danger, a sheriff said Tuesday. Authorities have been searching for 13-year-old Jayme Closs since deputies responding to a 911 call early Monday found her parents , James and Denise Closs, dead in their home in Barron, a rural western Wisconsin community about 80 miles (130 kilometers) northeast of Minneapolis. Jayme is described as 5-feet (1.5 meters) tall and 100 pounds (45 kilograms), with strawberry-blond hair and green eyes.